2.1.1 Outline the cell theory. 2.1.2 Discuss the evidence for the cell theory. 2.1.3 State that unicellular organisms carry out all the functions of life. 2.1.4 Compare the relative sizes of molecules, cell membrane thickness, viruses,bacteria, organelles and cells, using the appropriate SI unit. 2.1.5 Calculate the linear magnification of drawings and the actual size of specimens in images of known magnification. 2.1.6 Explain the importance of the surface area to volume ratio as a factor limiting cell size. 2.1.7 State that multicellular organisms show emergent properties. 2.1.8 Explain that cells in multicellular organisms differentiate to carry out specialized functions by expressing some of their genes but not others. 2.1.9 State that stem cells retain the capacity to divide and have the ability to differentiate along different pathways. 2.1.10 Outline one therapeutic use of stem cells. 2.1.1 Outline the cell theory. 2.1.2 Discuss the evidence for the cell theory. What was the importance of microscopes? What was the contribution of Robert Hooke? Which are the other scientists and what is their contribution? What conclusion can be derived from the video? 1.All living things are composed of one or more cells. 2.Cells are the smallest units of life. 3.Cells come only from existing cells. Cells contain blueprint for their growth, development and behaviour. Cells are site of all metabolic activities. What type of an organism is amoeba? What according to you are major functions of a living cell? What functions are being carried out by the amoeba? Does amoeba manage to perform all the activities a human can perform? What can you conclude from this? They have different shapes and are of different sizes. Why do cells need to be small? What is the significance of cells taking different shapes? 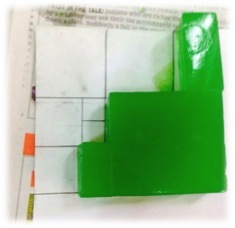 We perform an activity as shown in the video beside to find the importance of surface area to volume ratio for a cell. 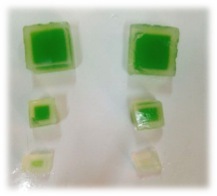 You are given agar blocks with food colour. Set 1 for 5 mins and set 2 for 10 mins. 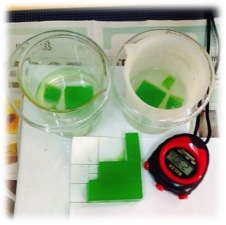 Observe the difference in the decolourisation of the blocks. Write the conclusion for this. Why doesn’t the cells grow to a large size? Collect information on timeline of microscopy and prepare a presentation for the same. Time limit less than 4 mins. Stencil to be solved in class- The answers for these will be uploaded. Organisms can achieve more than the sum of what each part could achieve individually. Cells perform their task when they interact with each other rather than when they are alone. Cells have all genes so could develop in any way. Some genes are expressed but not others. students watch the videos…..class discussion leading to what are stem cells?, where do we get stem stems from and what is its importance? then have a debate in the class- "Embryonic stem cells- boon or bane." 1. what are stem cells? 2. Mention the types of stem cells. 3. Why are embryonic stem cells preferred? 4. What are the limitations of using embryonic stem cells? 5. List some of the incurable diseases that can be cured with stem cells. Stem cells can cause cancer. Read the link …. How is the scientific community responsible for conveying information to the society.